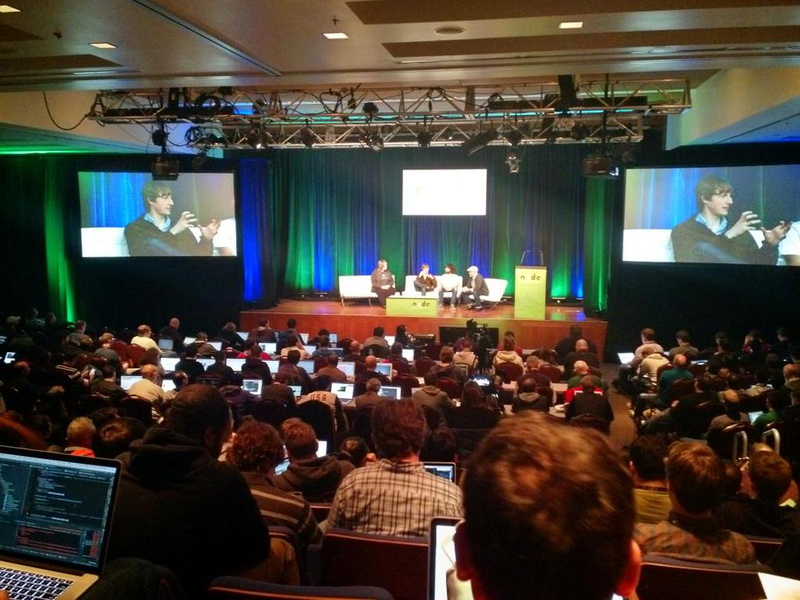 NodeSummit took place at the Mission Bay Conference Center on 10-11 February. 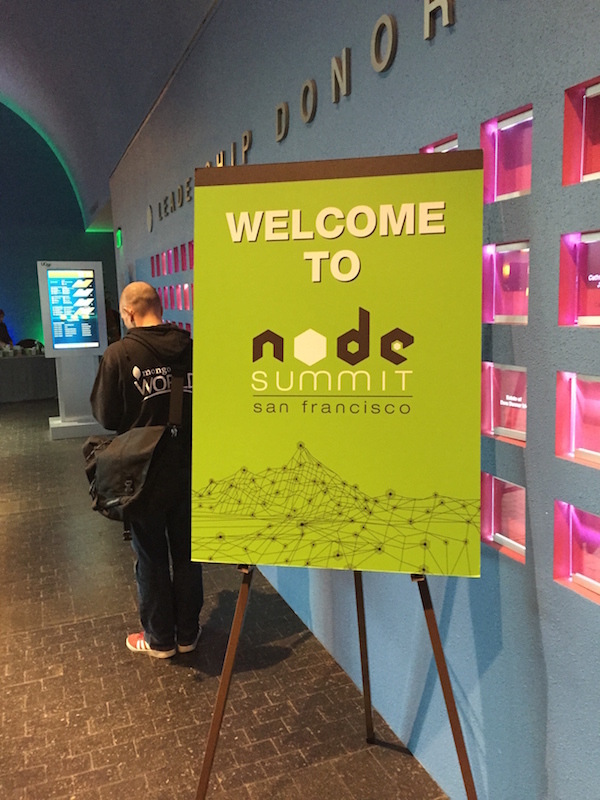 The conference featured some big adopters of Node.js like Netflix, MasterCard, Intuit, PayPal, Yahoo or Dow Jones. The format went like this: there was a main stage, where the panel talks were held and three smaller rooms. Sadly, these rooms were so small, it was really hard to get into those talks. Most of the talks targeted beginner / intermediate levels, so if you were using Node.js for years, not a lot of new things came up. At the end of the first day Joyent announced the Node Foundation. Joyent will join forces with IBM, PayPal, Microsoft Corp, Fidelity and The Linux Foundation to establish the Node.js Foundation, which will be committed to the continued growth and evolution of Node.js, while maintaining a collaborative environment to benefit all users. The After Party was very great - talking with new people, meeting old friends. After the talks there was another After Party, now at the venue, sponsored by Rally Ventures. Again, it was a great opportunity to talk with all the awesome people who attended the event. 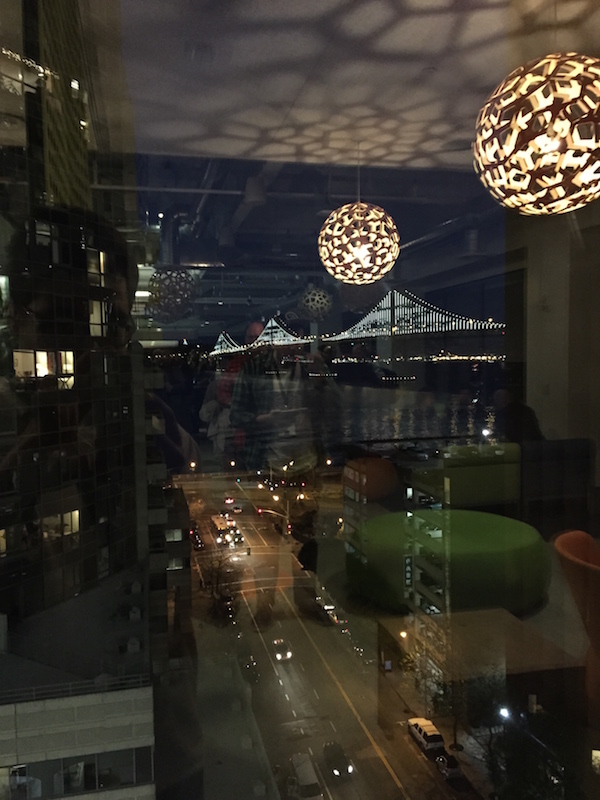 It was a great event if you were looking to meet all the major players who started to adopt or have already adopted Node.js in the enterprise. 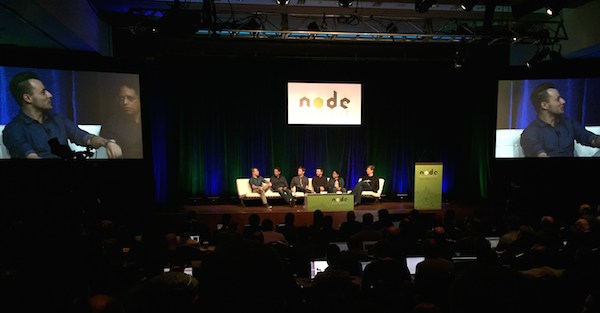 The talks were mostly aiming other enterprises, signalling them that Node.js is Enterprise Ready. All the talks were recorded and will be published in two weeks - stay tuned, and follow NodeSummit in the meantime to get updated!